Minded Security Blog: jQuery is a Sink! I'm glad jQuery will be fixed..
this way user can set a "safetyMode" flag to true in order to disable the html insertion feature. adding some documentation about it would be great as well, of course. That's why I wrote such standard secure coding best practice in the countermeasures section. 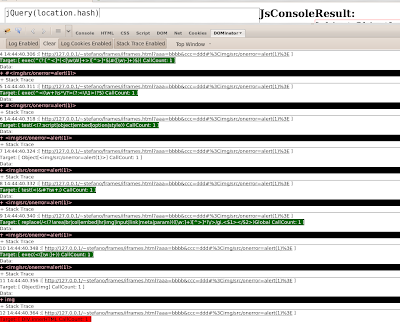 Better fix: don't pass the hash to the jQuery function. It's not jQuery's job to sanitize all input. 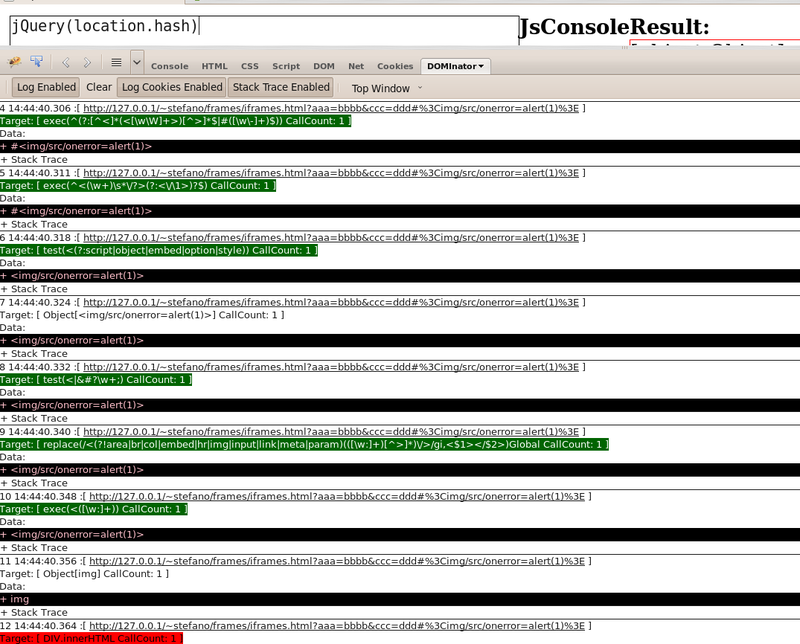 ...Fix an XSS attack vector: User ma.la reported a common pattern that many sites are using to select elements using location.hash that allows someone to inject script into the page. This practice seemed widespread enough that we decided to modify the selector recognition to prevent script injection for the most common case. Any string passed to $() cannot contain HTML tags (and thus no script) if it has a “#” character preceding them. See the ticket linked above for more information and a test case. @Stefano... you see how well that worked for PHP, right?